Table 1. Pakistani nuclear forces, 2016. A part from the British Raj in India, there were 565 princely States varying in size from a few square miles to a few thousand square miles. They were ruled, or misruled, by petty chieftains or rajas or maharajas, with whom the British had special treaties. The British appointed their own political agents in each of these states. When India gained freedom, these treaties were abrogated and the states were given the choice of joining either India or Pakistan. Sardar Vallabhbhai Patel was not just a politician but a statesman of shrewdness, sagacity and ability. He succeeded in persuading most states, depending on their geographical location, to join India. 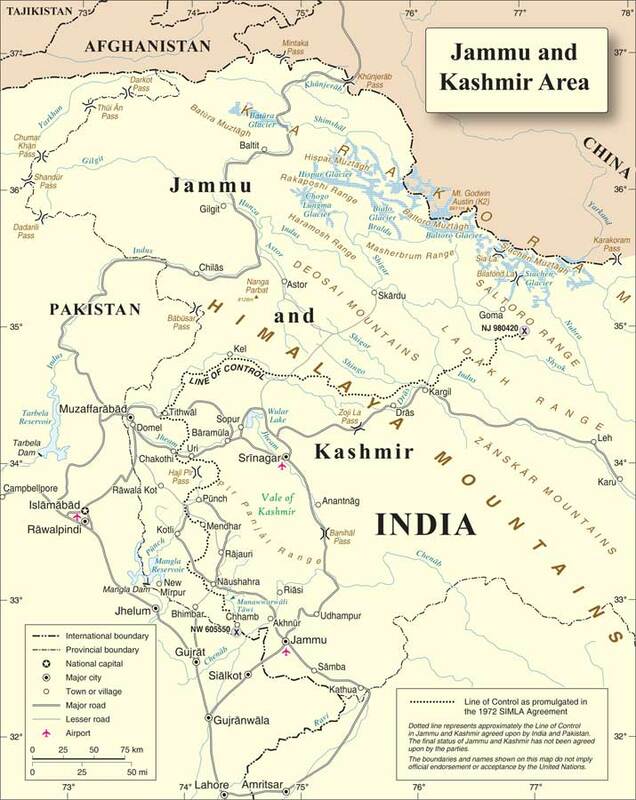 The three states which did not opt for either Dominion were Kashmir, Hyderabad and Junagadh. The ruler of Jammu and Kashmir, Maharja Hari Singh, was a Hindu, but his state had and still has a majority Muslim population. He sat on the fence till the last moment, possibly with the vainglorious and unreal ambition of being an independent state. India and Pakistan are ultimately responsible for resolving their own crises, but the nuclearization of the subcontinent has internationalized their disputes. South Asian tensions are no longer just a regional matter because of the potentially catastrophic global humanitarian consequences of a nuclear exchange in South Asia. In my second roundtable essay I argued that Washington's ultimate "goal in the region must be denuclearization," as part of a multilateral "effort to reduce nuclear dangers, both globally and in South Asia." My roundtable colleague Rabia Akhtar claims that this is like "living in fantasyland," but there's nothing fantastic about my argument. Since Barack Obama's 2009 Prague speech, "the peace and security of a world without nuclear weapons" has been official US policy. The goal of a world without nuclear weapons was also endorsed in 2009 by the five permanent members of the UN Security Council. Akhtar attempts to rebut my "fantasy" ideas by writing that "choices have been made"—meaning, primarily, that India and Pakistan have decided to seek security in nuclear weapons while standing outside the nuclear nonproliferation regime. But such choices are not irreversible. Indeed, India and Pakistan are out of sync with the overwhelming majority of states, which have renounced nuclear weapons, and it's the South Asian rivals that behave as if they were living in a "fantasyland"—a delusionary and dangerous "realist" fantasyland. New Delhi and Islamabad attempt simply to ignore the international social and normative environment in which their mad nuclear competition takes place. Omnes cives Googlani sumus. We are all Google citizens now. Google has colonized more countries than the Ancient Romans. In 95 percent of countries, either Google or YouTube (which, of course, is owned by Google) is the most popular website. But instead of taking hundreds of years, Google has done it in a couple of decades without firing a single shot. We were lulled into submission by the digital equivalent of “bread and circuses”: cat videos and PewDiePie. How did this happen? How can we be sure that Google and other big tech companies will safeguard our rights and freedoms like the cheerful buddies they present themselves as? What can be done to hold big tech to account? Within 25 years of the invention of the World Wide Web, a handful of private (mostly Silicon Valley) companies have become dominant. Some—Microsoft, Amazon, Apple—have achieved market power through a familiar route: selling products or services for money. Others, like Google and Facebook, have a different kind of power, one that we’re only beginning to understand. They have conquered the world through what Shoshana Zuboff, a professor at Harvard Business School, calls surveillance capitalism, a big data world in which we’re the products. In her magisterial SPQR, historian Mary Beard considers why the Roman Republic collapsed, despite its mechanisms to rotate officeholders and avoid concentrations of power. Beard concludes that Ancient Rome’s governance structures simply didn’t scale. They were not robust enough to cope with the demands of a running global empire. After nearly three years in the cyber community, my continual experience is one where we regularly confront our own shortcomings in understanding cyberspace, as well as a general misunderstanding of cyberspace operations and basic planning at the military service operational and tactical echelons. This spans a spectrum of a lack of understanding of operations and planning processes by those in the cyberspace operations community, to a lack of comprehension of how to integrate effects from cyberspace operations into plans and operations by the operations community. In the case of the latter, misunderstanding is quickly attributed to an lack education covering the basic tenets of cyberspace operations within the services’ common-core professional military education (PME) and functional training, and in some cases complete lack of visibility or access to functional training that specializes in offensive cyberspace operations (OCO). In the case of the former, misunderstandings in many cases arise from OCO planner’s inability to grasp basic joint or warfighting function concepts, or understanding the linkage of desired effects to operational objectives. After returning from a temporary duty assignment with 8th U.S. Army to advise them on cyberspace operations this past spring, I was asked by my commanding general – Lieutenant General Rhett Hernandez, then-Commanding General of U.S. Army Cyber Command – what, or who, I thought was a ‘cyber planner’. This is also a question often asked by senior staff officers and commanders while engaging with them at the operational level and tactical echelons. Having given the question considerable thought, experiences while planning OCO brought with them the realization that many commanders, staff officers, and planners between the two communities do not understand one another. The operations community often regards, somewhat tongue-in-cheek, the cyberspace community as populated by individuals ‘getting their geek on’ – in other words, with no operational sense – and often believe that cyberspace operations are too hard to understand and better done by someone else. Well-trained and technically savvy cyberspace operators, on the other hand, are frequently hindered by junior rank and a lack of service or branch common core education, and lack of tactical- or operational-level planning experience, among other things, and frequently compounded by an inability to communicate in common doctrinal or operational language. The two communities effectively stand on their ‘side of the street’ looking at each other intently, but often fail to cross and understand one other. Imagine a virtually inconceivable, yet an ideal scenario in which China dissuades Pakistan from indulging in acts detrimental to India, Pakistan, in such a situation will be completely at sea –because of lack of its leverage from its so perceived “all weather friend”. Its other very good friend Saudi Arabia, thankfully, will not officially endorse anti-India funding and sponsorship overtly, or covertly, as is clearly manifest through Riyadh’s many pro-India acts such as the return to India of many Pakistani terrorists from its soil. …there is no gainsaying that China has, at Pakistan’s pleadings blocked India’s entry in the NSG and vetoed the clearance of sanctions against terrorists under UN resolution 1267. 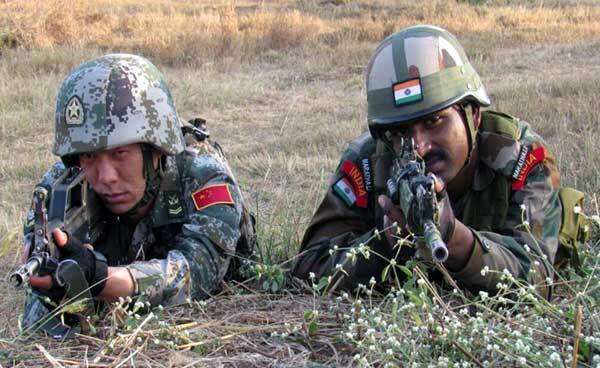 Will China ever prevail on Pakistan to contain its anti-India antics? This author’s answer to the bewildering query is – it is very unlikely in the foreseeable future, though quite possible in the years to follow. Pakistan has during the past several decades pleaded with China to create several irritants for India, preferably major, or at least minor – so as to be able to fire all its cylinders against India. This has happened right from the 1971 Indo-Pak War –even the US at that time coercing India by dispatching its 7th Fleet to the Bay of Bengal – but China did nothing whatsoever, to exploit the situation (or could not as Manekshaw had guarded against this possibility by choosing to attack in December when the Himalayan watershed is covered with deep snow). Similarly, Sikkim’s accession to India though causing concern to the Chinese government did not provoke the latter to stoke any fresh fire against India. The Pakistan Army is back to playing its dirty games along the Line of Control (LOC) and International Border (IB) with India yet again. In a parting gift to its outgoing Chief, Gen. Raheel Sharif, it has ambushed an Indian patrol on the Indian side of the LOC in the Machil sector of the Kashmir Valley on Tuesday, November, 22. It is being appreciated that the decadent act was carried out by a Pakistani Border Action Team (BAT) that could have comprised of militants, Rangers and Pakistani troops; a large body of troops determined to cause maximum harm to the Indian patrol. The Indian patrol that was carrying out a routine counter infiltration operation retaliated in a courageous and professional manner that greatly reduced the casualties even as three Indian soldiers died a heroic death. As is the practice of such Pakistani a contingent, it mutilated the body of one Indian soldier before scurrying back to its own territory. The Pakistani practice of mutilating bodies of fallen soldiers causes considerable revulsion and disgust across the world. It is a practice which insults the noble profession of arms that has a universal covenant in conduct of honourable warfare running back to ages. This covenant has been laid down in writing as the Geneva Conventions in modern times. The conventions specifically forbid such barbaric practices and lay down rules for providing dignity to corpses of enemy soldiers. NEW KREMLINOLOGY: WILL PUTIN SURVIVE? Vladimir Putin’s new Kremlinology is all about anti-Westernism. His all-out campaign against America and its allies across the world is marked by a new hyper-nationalism. Putin loves the subject of patriotism. Way back in 1999, when he was all set to take over as the President of Russia, he listed patriotism and related issues of national pride and dignity in his first programme. Then in 2015, he advocated that patriotism is the “sacred duty of the Russians” and called it a “moral compass” for teenagers. To him, patriotism is “not dialogised or associated with the work of a party or any social structure”. He even goes one step ahead and says, “We have no national idea besides patriotism, and there can be no other”. Thus, he tries to bring a whole lot of young people into his new madness. But it is felt that his tryst with patriotism will not last long. Is it a good idea to bind a nation only with a new call for patriotism? Or is it an idea of Putin to just mobilise support around his presidency? Or is it a new sign of Russia’s transition to a state of no return? What does new Kremlinology indicate for Russia? May be many things, but one thing is crystal clear that Putin is deliberately pushing the country into an era of unending terror wherein he is fast becoming the only one around whom power and authority survive. But, this can never be a pragmatic model of power. Drumming anti-Westernism can never be a mechanism to remain in power. Forget the “String of Pearls” story about how China is supposedly surrounding India on the high seas. China is not just on the sea, but also on land, in air and deeply involved in the economies of all of South Asia and beyond. Last Monday, the first major trade cargo departed from Gwadar, marking operationalisation of the port designed and built by China. That also marked the completion in just about two years of the project to feed the port under the China-Pakistan Economic Corridor (CPEC) under the Chinese One Belt-One Road initiative. Flagging off the cargo, Pakistan’s Prime Minister Nawaz Sharif said the CPEC will “integrate development and commerce of various regions across Asia and Europe by increasing connectivity and Pakistan Vision 2025″. He further said that it seeks “to transform Pakistan into a regional hub of trade, commerce and manufacturing by harnessing its geo-strategic location into a geo-economic advantage”. The Indian government is proposing to export its Hindustan Aeronautics Limited (HAL) Tejas light combat aircraft to other Asian nations. New Delhi hopes that the indigenously developed fighter’s relatively simple design and potentially low maintenance costs will be a selling point for the jet. But India’s prospects for selling the its “new” fighter are highly dubious. It’s unclear which potential customers might be interested in the Tejas, though New Delhi has been trying to market the jet overseas with an appearance at theBahrain air show earlier this year. But given that India has been trying to develop the Tejas since the 1980s without delivering a viable combat aircraft, it is highly doubtful that any of New Delhi’s allies would be willing to purchase such a fighter. Moreover, even after more than 33 years of development, the Tejas continues to be plagued with problems—though developers believe that they can resolve outstanding issues with the aircraft within a year. “I told them that all shortcomings should be fulfilled and the plane should be ready in a year,” Parrikar told the Hindustan Times on Nov. 20. 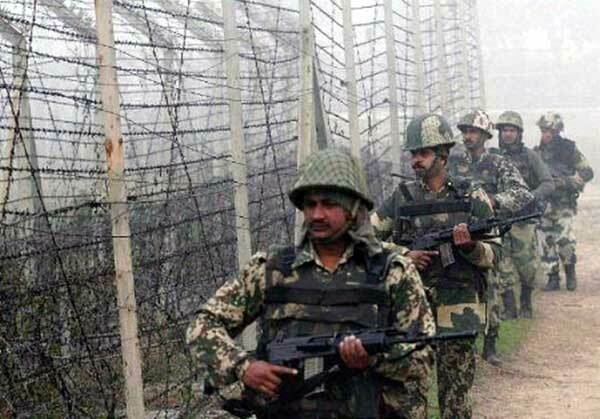 Escalation on the India Pakistan Line of Control (LoC) and International Border (IB) post the 18 September Uri terrorist attack attributed to Pakistan-based Lashkar e Taiyyaba is a matter of concern for both sides. While the Indian Army’s, famed, “surgical strikes,” were vehemently denied by Pakistan, violations of ceasefire and brutalities inflicting on Indian soldiers indicates tacit acceptance of the losses suffered by Pakistan in the trans-LoC attacks by Indian Special Forces (SF) on the night 28/29 September. The subsequent increase in hostilities is also evident in the sphere of diplomacy with eight accredited diplomats from each country asked to leave on the grounds of engaging in espionage and related activities. This situation is not unusual and the road has been travelled before so is the escalation on the LoC. The LoC fire assaults have consumed the lives of many civilians on both sides while posing the threat of escalation with neither side willing to step back. What do Chinese scholars and policymakers envision for Beijing’s role in the international order? China’s contributions have become indispensable for effective global governance, and Beijing has become more and more active on relevant issues. Obviously, any serious effort to assess China’s participation in global governance requires a close examination of Chinese domestic opinions on the topic. This essay tries to investigate this problem and discuss its policy application. The country’s rapid ascendance has left both the Chinese government and its people unprepared for the growing demands of global governance. Chinese scholars have been preoccupied in recent years with animated discussions on the opportunities, risks, and responsibilities of being a rising power. Different positions are largely derived from substantial divisions upon some fundamental questions. One such question involves different strategic preferences; heated debates exist on whether China should abandon its low-profile foreign policy. On the one hand, many believe that, given its rapidly rising power, Beijing must update its traditional pattern of staying low-key and mostly silent in international affairs, and instead adopt a more active and creative strategy in safeguarding its interests and expanding international influence. Meanwhile, others argue for maintaining the “keep a low profile” (韬光养晦) dictum laid out decades ago by Deng Xiaoping. They warn about the danger of over-expansion and suggest that their opponents underestimate various difficulties in China’s rise. They argue that a low-key profile would help China to reassure other countries, thus allowing Beijing to avoid containment, and that a prudent strategy will allow China to focus on solving its own domestic problems. Meanwhile, Chinese scholars also have different ideas on China’s relationship with the current international order and what kind of responsibilities or contributions China should take on. The ideological tendencies on this problem can be classified into three major categories, namely nativism, pragmatism, and globalism, which also closely related to their proponents’ different domestic political orientations. China was responsible for around one-quarter of the world’s carbon emissions in 2014 ― more than the U.S. and the European Union combined. It accounts for 33 to 40 percent of the carbon emissions gap between current trends and a 2 degree Celsius pathway. Yet China is moving to cut its CO2 emissions much faster than anyone expected, and is now on a path to achieving its Paris climate commitments, including peaking its CO2 emissions, well before its 2030 goal. China is on track to cutting its CO2 emissions by 0.5 percent this year as it burns less coal, building on a 0.7 percent reduction last year, and contributing to a global slowdown in CO2 emissions growth. In fact, China is emerging as a global climate leader, taking the number one spot in global renewables investment for the past few years. In 2015 alone, China invested some $102 billion in renewables ― more than the U.S. and EU combined, representing around half of new wind power installations globally and roughly one-third of new solar capacity. Realizing the benefits of actively adapting to the new low carbon economy, China is committing to move ahead regardless of what the U.S. does. China is not waiting until 2030 before taking climate action. In September and October of this year, for example, China cancelled dozens of coal plants already under construction with a combined capacity greater than the U.K.’s entire coal fleet, in order to avoid building coal power capacity that would become stranded, unused assets given increasingly cheap renewables. It has set a national coal consumption target of 4.2 billion tons for 2020, and its coal consumption has actually fallen for the past two years, with 2016 likely to continue the trend. In 2015 alone, China invested $102 billion in renewables — more than the U.S. and EU combined. Of the above named countries, the United States is undoubtedly the sole Superpower with complex global predominance in all domains. This predominance has virtually remained intact when the global unipolar moment emerged in 1991 with the disintegration of the former Soviet Union. Many today would like to contest that the United States power and predominance is on the decline. This position is not debatable as none of the major powers enumerated above neither are within closing distance to US predominance nor do they have global power-projection capabilities to carve out their respective spheres of influence at the expense of the United States. China exhibits the pretensions of emerging as the rival Superpower to the United States, a burning Chinese national aspiration. 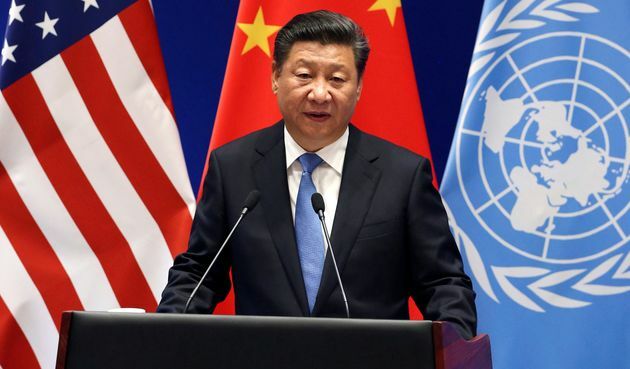 China no doubt has made exponential progress economically and militarily to reduce the strategic asymmetries in power in relation to the United States. But this is far from done and that makes China a dissatisfied ‘revisionist power’ out to challenge United States predominance. Regrettably for China, repeated by me for over a decade now, is that China has no ‘Natural Allies’ with national aspirations synchronous with China in dethroning the United States. Nor even Russia would fully subscribe to the Chinese aim and in any case Russia is not considered included in the Asian Strategic Quadrilateral as in Asian power dynamics Russia has yet to assert itself independently of China. Japan has in the 20th Century dominated the Asian geopolitical dynamics for the first half of the Century. Japan was the first Asian country to be considered as a Major Power by the colonial powers of the day. Japan today can still be considered as a major power with a significant bearing on Asian geopolitical dynamics and since 1945 fully aligned with the United States in a military alliance to ensure security and stability in the Asia Pacific. In terms of Asian geopolitical dynamics, Japan significantly is a contending Asian power against China. China has spared no space and efforts to politically and militarily coerce Japan at every stage. Arthur Swinson‘s Kohima: The Story of the Greatest Battle Ever Fought is a soldier’s personalised account of an excruciating and merciless battle. The flagship project under the Belt and Road Initiative - the China Pakistan Economic Corridor (CPEC), has been seen as a ‘game changer’ in the regional geopolitical discourse since its formal unveiling in April 2015. It has become the foremost bilateral initiative between China and Pakistan, entailing a budget above $46 billion. CPEC has captured popular imagination in Pakistan, at a time when it is struggling to get its economy back on track. Through the successful execution of the CPEC, China looks forward to adding a significant brand value to its overseas developmental initiatives enunciated as One-belt-One-Road. With a spectacular GDP having trillions of dollars in reserve, China is seeking to invest in projects abroad that can enhance connectivity, utilise idle capital and sustain its economic growth. In this context, CPEC is conceived as a project that will give China overland access to the Arabian Sea through the Pakistani port of Gwadar, bring development and prosperity to Pakistan - a long-time friend and ally, and cement strategic ties between the two. Innocuous as it may appear, with its passage through the disputed territory of Gilgit-Baltistan and its access and control of Gwadar port - situated in close proximity to the energy-rich Western Asian region, CPEC has provoked the regional/sub-continental security debate ever since it was announced with great gusto by China and Pakistan. "Recommendations to the New President on Countering WMD and Terrorism"
Authors: Rolf Mowatt-Larssen, Senior Fellow, Belfer Center for Science and International Affairs, Monica Duffy Toft, Former Associate Professor of Public Policy; Former Board Member, Belfer Center for Science and International Affairs; Former Director, Initiative on Religion and International Affairs. Civilians leave their houses, as Iraq's elite counterterrorism forces fight against Islamic State militants, in the village of Tob Zawa, about 9 kilometers (5.6 miles) from Mosul, Iraq, Tuesday, Oct. 25, 2016. That threat is now even greater than it was before 9/11. A war that was expected to last a generation has become entrenched and intensified, and has expanded globally. It will last for decades to come. It has and will continue to intensify beyond the historic lands of the Caliphate. It is therefore noteworthy that the Islamic State has shifted its focus from a Muslim audience to a western audience in its magazine, “Dabiq,” at a time when the Islamic State has also called on its followers to carry out attacks in their home countries rather than travel to Syria or Iraq, the lands of the ISIS-proclaimed caliphate. Today, there should be no doubt that both the Islamic State and AQ are interested in acquiring and using weapons of mass destruction (WMD); their words and actions confirm their intentions in this regard. The appeal of WMD lies in possessing a capability to confront a militarily superior adversary, in advancing their shared ideology, and in accomplishing their ultimate goals and objectives. The debate within the leadership of AQ in the mid 1990s for and against introducing WMD into the war was settled in 1998 by the group’s leader himself. Following Osama bin Laden’s 1998 fatwa and declaration of war against the United States, al-Qaeda launched leadership-driven programs to acquire nuclear and biological weapons. The appeal of acquiring WMD has not been questioned within the militant Islamist movement since the use of WMD was first justified in a 2003 fatwa published by three Saudi clerics. In fall 2015, after months of bitter infighting, EU member states finally converged on a common approach on how to handle Europe’s refugee crisis. From German Chancellor Angela Merkel to Hungarian Prime Minister Viktor Orbán, all EU leaders concurred that the most urgent priority was to reduce the massive inflow of irregular migrants and refugees. In record time, they set up a European border and coast guard with a stronger mandate and more resources than the EU’s existing border agency, Frontex, and expanded the financial and operational assistance to the most exposed member states. But they also understood that the real key to reducing the numbers lay in cooperation with the countries from which most of the migrants were crossing into the EU. The closure of the Greek-Macedonian border in February 2016 and an agreement with Turkey on refugee returns a few weeks later succeeded in diminishing the flow of people on the eastern route into Europe to a trickle. Two of Donald Trump’s first appointments as president-elect, his chief strategist Steve Bannon and attorney general Jeff Sessions, are white supremacists with anti-Semitic reputations. The Jewish Telegraphic Agency, for example, accused Bannon of carrying anti-Semitic journalism on Breitbart News and of making anti-Semitic remarks himself; Sessions allegedly found fault with the Ku Klux Klan only when he realised they smoked marijuana. One might have expected the Israeli government to criticise these appointments, pointing to the real and present danger of anti-Semites working in the US administration, as well as to the message it conveys to white supremacists around the world. But Netanyahu has said nothing. Africa barely got a mention in the US presidential election. This is good. If Trump succeeds in purging the factions that advocate war, interventionism and imperialism from the US government he will have done all that he needs to do for Africa. We can ask no more than to be left alone by the world hegemon. Prof Patrick Bond in his piece in Pambazuka News last week gives an interesting perspective on the election of Donald Trump to the US presidency. His article has inspired me to give my own quite different perspective. How Donald Trump will govern is by no means certain at this point. However, on the basis of the speeches and interviews he has given since his election, there is no reason to conclude that the sky has fallen. In fact his election may prove to be a tremendous opportunity for Africa. Trump is clearly neither a neoliberal nor a neoconservative. His position on cooperation and good relations with Russia shows him to be a noninterventionist. That is to say he is not an imperialist. The problem for Africa in its relations with the USA is not that the US intervenes too little in African affairs, but rather that it intervenes too much. If the US turns towards isolationism this will allow Africa a golden opportunity to increase and intensify its engagement with Asia, particularly China, but also with India, South America and Russia, free from American interference. At the same time, because Trump is neither neoliberal nor neoconservative, it is unlikely that his appointments to the world’s multilateral institutions will come from the ranks of those factions. Besides if Trump is true to his promise to cooperate with other countries and in particular Russia, such cooperation will undoubtedly impact his choices for top posts in those organizations such as the World Bank where the US vote is determinative. How to define the post-Brexit foreign policy of Prime Minister May? The question is not simple at all and shows a series of new and unexpected signs. Meanwhile, Theresa May’s primary project is to increase her own international role outside traditional alliances so as to make up for the loss – scarcely relevant at military level, but highly symbolic – of the UK presence in the European Union. Last September the Tory government led by Prime Minister May hosted the Qatari emir, Sheikh Al-Thani, to start new political and financial relations with the Emirate, with the sale of various leading-edge technologies for Defense. Furthermore a new British attaché will be posted to Qatar, so as to support the UK strong commitment in the country, also at training level. In mid-October Prime Minister May also hosted the King of Bahrain, Ahmad bin Isa al Khalifa, and, in her welcome speech, she underlined “the strong support for the efforts designed to make the Gulf region safe”. Also Oman, a UK traditional friend, as well as the other United Arab Emirates, will shortly receive support from Great Britain, which will build new military bases in the region. The Great Britain of Gertrude Bell and Christine Granville is back again. Again a woman, Theresa May, is rebuilding the communication and strategic network with the Middle East. What if nuclear weapons are used? The world relies too much on the indefinite continuation of the post-1945 taboo on military use of nuclear weapons. It was never a secure bar to such use, but now official statements and academic writings indicate a perceptible weakening of it. If a nuclear weapon country used its weapons in anger, anywhere, even on a relatively small scale, it would signal that nuclear war was no longer a theoretical possibility, but a reality. That realization is likely to have far-reaching political and social consequences worldwide. Yet it is hard to find any examination of what these consequences may be. I don’t mean studies on the effects of nuclear weapons, or of a nuclear Armageddon, of which there is no lack. Anyone can access web-based graphic displays to estimate the devastation of a nuclear bomb dropping on his or her city. I have never heard of anyone moving out of one of those cities out of fear of a nuclear attack, but if a real nuclear bomb dropped somewhere, even far off, people are likely to think about it differently. Nuclear terrorism: The diversion. I also don’t mean studies on what might happen if terrorists—rather than a country—used a nuclear weapon. There are many such studies, as well. The world’s leaders have adopted countering terrorist use of nuclear weapons as the main subject of the heavily advertised international security summits. It makes for “successful” meetings because all countries are on the same side in dealing with nuclear terrorism—they are all against it. Nuclear terrorism is a concern, but the disproportionate official and academic focus on it diverts attention from the much more serious, but also much more difficult, problems of restraining countries that have nuclear weapons and keeping others who have an interest in getting them from doing so—and then using them. Dealing with nuclear weapon states, and would-be nuclear weapon states, means confronting argument over the rights and wrongs of nuclear weapon possession and considering major policy changes, all of which world leaders stay clear of. A recent UN climate agreement has the potential to shift global energy consumption from a mix dominated by fossil fuels to one driven by low-carbon technologies. It is clear that if this happens, fossil-fuel-producing countries will have to adjust their economies to reflect lower export earnings from oil, coal, and natural gas. The rise of renewable energy may also create new centers of geopolitical power. As renewable resources become widely distributed, supply-side geopolitics are expected to be less influential than in the fossil-fuel era. Instead of focusing on just two major resources, oil and natural gas, low-carbon energy geopolitics may depend on many additional factors, such as access to technology, power lines, rare earth materials, patents, storage, and dispatch, not to mention unpredictable government policies. Despite uncertainty, there is no question that the balance of power in energy geopolitics is shifting from fossil-fuel owners to countries that are developing low-carbon solutions. Meeting the goals set at the 2015 climate conference in Paris calls for dramatic changes in the global energy mix. One-hundred and ninety-five countries agreed on the objective of limiting the global average surface temperature to “well below” 2°C above preindustrial levels (United Nations 2015United Nations. 2015. “Adoption of the Paris Agreement.” Accessed September 22, 2016.http://unfccc.int/resource/docs/2015/cop21/eng/l09r01.pdf). To achieve this target, a shift to zero- and low-carbon energy-producing technologies will be required in the near future (IPCC 2014IPCC (Intergovernmental Panel for Climate Change). 2014. “Climate Change 2014 Synthesis Report, Summary for Policymakers.” Accessed September 22, 2016.http://www.ipcc.ch/pdf/assessment-report/ar5/syr/AR5_SYR_FINAL_SPM.pdf), with wide deployment of negative-carbon technologies – those that remove carbon dioxide from the atmosphere – in the second part of the century.